LSD Alice [Study for Alice Down the Rabbit Hole], 1965. Colored felt-tipped pen, ballpoint pen, pencil on paper. 9" x 11 13/16" (22.9 x 30 cm). #65053. Collection of the Adrian Piper Research Archive Foundation Berlin. © APRA Foundation Berlin. The Barbie Doll Drawings, 1967. Suite of 35 drawings: India ink and Rapidograph and/or pencil on paper, each 8½ x 5½" (21.5 x 14 cm). Detail: #7 of 35, India ink and Rapidograph on paper. #67073.7. Collection of the Adrian Piper Research Archive Foundation Berlin. © APRA Foundation Berlin. Utah-Manhattan Transfer, 1968. Pencil, ballpoint pen, two collaged maps mounted on foamcore. 14 3/16" x 13 1/4" (36 x 33,7 cm) and 12 x 11 15/16" (30,5 x 30,3 cm). #68007.1-2. Photocredit: David Campos/ MACBA. Collection of the Adrian Piper Research Archive Foundation Berlin. © APRA Foundation Berlin. Hypothesis Situation #3 (for Sol LeWitt), 1968-1969. Photo-diagram collage: graph paper, B&W photographs, India ink diagrams, vintage photo-offset forms with typescript text, vintage photo offset two-page essay, “Hypothesis” (1968). 8 1/2" x 11"; 33 7/8" x 10 7/8"; 17" x 11" (21.6 x 27,9 cm; 86.0 x 27.6 cm; 43.2 x 27.9 cm). #68042. Photo credit: Amy Patton. Collection of the Adrian Piper Research Archive Foundation Berlin. © APRA Foundation Berlin. Context #7, 1970. Seven black notebooks with pages, ink, graphite, crayon, postage stamps, photograph, sugar package on paper. Each 11.75 x 11 x 3” (29.84 x 27,94 cm). #70008. Collection Walker Art Center. © Adrian Piper Research Archive Foundation Berlin. The Mythic Being: Doing Yoga, 1975. Six silver gelatin prints, each 8" x 10" (20.3 x 25.4 cm). Detail: #1 of 6. Photo credit: James Gutmann. #7506.1. Private collection. © Adrian Piper Research Archive Foundation Berlin. This is Not the Documentation of a Performance, 1976. 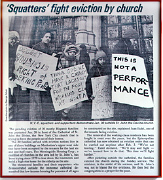 Silkscreened newspaper article with altered photograph and text, 49 x 45” (124.5 x 114.3 cm). #76002. Collection of the Adrian Piper Research Archive Foundation Berlin. © APRA Foundation Berlin. Aspects of the Liberal Dilemma, 1978. Mixed media installation: Black and white photograph framed under Plexiglas, audio tape, lighting. 18 x 18” (45.7 x 45.7 cm). #78004. Collection University of California Art Museum. © Adrian Piper Research Archive Foundation Berlin. It’s Just Art, 1980. Performance documentation: B&W offset poster, 10 13/16" x 14 1/8" (27,5 x 35,9 cm), performance diagram, 8½ x 11" (20,9 x 27,9 cm), 15 silver gelatin photographs on baryte paper with handwritten texts, each 11 13/16" x 8 1/4 (30 x 21cm), 3 collages with handwritten texts, each 10" x 8" (25,4 x 20,3 cm), video reconstruction of performance elements, 00:24:42. #80002. Collection of the Adrian Piper Research Archive Foundation Berlin. © APRA Foundation Berlin. Vanilla Nightmares #13, 1986. Charcoal and oil crayon drawing on New York Times page from Sunday, August 3, 1986. 23 1/2" x 13 3/5" (59,6 cm x 34,5 cm). #86006. Collection of the Adrian Piper Research Archive Foundation Berlin. © APRA Foundation Berlin. The Big Four-Oh. 1988. Video installation: 00:47:48 endless loop video, open 8.5” x 5.5” (21.6 x 14 cm) notebook journal with handwritten text, 40 hardballs, disassembled coat of armor, sealed jars of blood, sweat, tears, piss and vinegar respectively. Dimensions variable. #88014. Photo credit: Courtesy Elizabeth Dee Gallery. Collection Walker Art Center. © APRA Foundation Berlin. Ur-Mutter #2, 1989. 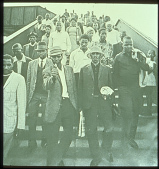 Rephotographed newspaper image on photographic paper, enlarged, mounted on foam with silkscreened text, 40⅝" x 23⅞"”, (101.6 x 58.4 cm). #89004. Photo credit: Peter Turnley/ Newsweek; Andrej Glusgold. Collection of Mount Holyoke College Art Museum. © Adrian Piper Research Archive Foundation Berlin. Safe #1-4, 1990. Mixed-media installation: Audio sound track with 4 panels, each black and white photo with silkscreened text, mounted on foamcore and affixed to four corners of room: 42'' x 30¼"; 39 1/4'' x 24 5/8"; 24 15/16" x 30 7/16"; 39" x 44 5/16" (106,6 x 76,9 cm; 99,8 x 62,6 cm; 63,4 x 77,3 cm; 99 x 112,7 cm) #90008.1-4. Collection of the Adrian Piper Research Archive Foundation Berlin. © APRA Foundation Berlin. What It's Like, What It Is #3, 1991. Video Installation: Wood constructions, mirrors, lighting, four videodiscs, videotape, music soundtrack, dimensions variable. #91001. Photo credit: David Campos/ MACBA. Collection of the Adrian Piper Research Archive Foundation Berlin. © APRA Foundation Berlin. Decide Who You Are # 21: Phantom Limbs, 1992. Silkscreened image-text collage printed on paper mounted on foam, silkscreened texts. Four panels: 42" x 72" ; 43 "x 24"; 13" x 15"; 42" x 72" , (106,7 x 182,8; 109,2 x 61 cm; 33 cm x 38,1 cm; 106,7 x 182,8). #92005.1-4. Photo credit: Galerie Christian Nagel. Collection of the Adrian Piper Research Archive Foundation Berlin. © APRA Foundation Berlin. I Am Some Body, The Body of My Friends, 1992-1995. Suite of 18 “selfie” photographs, 15 color and 3 black and white, each 12”x 8" (30,5 cm x 23,3 cm). #95003. Photo credit: Galeria Emi Fontana. Collection of the Adrian Piper Research Archive Foundation Berlin. © APRA Foundation Berlin. The Color Wheel Series, First Adhyasa: Annomayakosha #26, 2000. 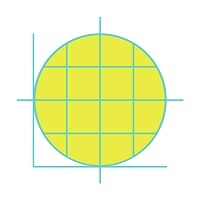 300 dpi website image, 1.58” x 2.56”. Collection of the Adrian Piper Research Archive Foundation Berlin. © APRA Foundation Berlin. Everything # 2.7, 2003. Graph paper overprinted with black and white photocopied and sanded photograph, dark red inkjet text. 11 x 8½" (27.9 x 21.6 cm). # 03001.7. Private Collection. © Adrian Piper Research Archive Foundation Berlin. Everything # 5.2, 2004. Plexiglas wall corner insert engraved with gold leaf text, 24 " x 48" (61 cm x 121.9 cm). #08037.2. Photo credit: Andrej Glusgold. Collection of the Adrian Piper Research Archive Foundation Berlin. © APRA Foundation Berlin. Vanishing Point #1, 2009. Installation: Wall section removal. Dimensions variable. #09004. Photo credit: John Sims. Collection of the Adrian Piper Research Archive Foundation Berlin. © APRA Foundation Berlin. Everything #21, 2010-13. 2010 Installation, Cairn Gallery, Scotland [destroyed]: Four blackboards, each covered with single handwritten sentence repeated 25 times in white chalk handwritten cursive text. Dimensions variable. #10001. Photo credit: Colin Fraser Wishart. Collection of the Adrian Piper Research Archive Foundation Berlin. © APRA Foundation Berlin. Mokshamudra Progression, 2012. Series of nine 9 x 16" photo-text collage lithographs. Edition of 20 produced by Poligrafa Obra Gráfica, Barcelona. #12007.1-9. Collection of the Adrian Piper Research Archive Foundation Berlin. © APRA Foundation Berlin. The Probable Trust Registry: The Rules of the Game #1-3, 2013. Installation + Participatory Group Performance: three embossed gold vinyl wall texts on 70% grey walls; three circular gold reception desks, each 1,83 m D x 1,6 m H; contracts; signatories’ contact data registry; three administrators; self-selected members of the public. #13001.1-3. Photo credit: E. Frossard. Courtesy Elizabeth Dee Gallery. Collection of the Adrian Piper Research Archive Foundation Berlin. © APRA Foundation Berlin. The Order of Celestial Laughter, 2017. Participatory Group Performance, no spatiotemporal dimensions. #170002. Collection of the Adrian Piper Research Archive Foundation Berlin. © APRA Foundation Berlin. All proceeds from the sale, rental, exhibition, publication or production of work by Adrian Piper support the APRA Foundation Berlin (APRA), a research archive and website at adrianpiper.com established for the benefit of those students, scholars, curators, collectors, writers, and members of the general public who have a constructive curiosity or scholarly or professional interest in Piper’s work in art, philosophy and yoga. APRA aims to contribute over the long term to a more balanced comprehension of the conditions of production of Piper’s entire body of work as a unified whole, by funding research that exemplifies, models, analyzes and/or theorizes the creative multi-disciplinary expressions of the self encouraged by globalization and cross-cultural journeying.